Sprint has scheduled a March 22 press conference that is expected to span two and a half hours--and for good reason--according to Engadget's anonymous tipster: Sprint reportedly plans to reveal the Nexus S 4G and the EVO 3D smartphones, as well as a tablet called the Evo View. 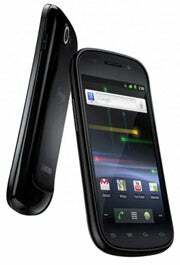 The Nexus S 4G would be similar to the Nexus S smartphone that Samsung launched on T-Mobile last December, says the tipster, but with support for Sprint's 4G WiMax network. The existing Nexus S has a 4-inch Super AMOLED display, a 1GHz processor, rear- and front-facing cameras and 16 GB of internal storage. Most importantly, it runs a stock version of Android 2.3, unmodified by carrier bloatware or Samsung's own user interface. Engadget's tipster doesn't say whether any other spec boosts are in order for the Nexus S 4G. The EVO 3D, as the name suggests, would be a successor to HTC's popular EVO 4G phone, which launched exclusively on Sprint last June. At the time, the EVO 4G introduced some notable features to the U.S. smartphone market, including a massive 4.3 inch screen and a front-facing camera. Other phones have since followed in the EVO's footsteps, so HTC may be looking to get back on the cutting edge with a glasses-free 3D display. I'm not sold on 3D smartphones--in my brief experience, they can be disorienting when viewed at a glance--so hopefully the next EVO has more in store than Engadget's tipster suggests. Finally, there's the Evo View, which reportedly will be a variant on the HTC Flyer previewed last month. The 7-inch Flyer tablet has some standout features, including a built-in stylus and the cloud gaming service OnLive, but it runs a version of Android--version 2.4, or Gingerbread--that Google didn't design for tablets. HTC is compensating with its own user interface adjustments, but the Flyer won't be able to run tablet apps that require Android 3.0 unless it gets an upgrade. Still, with AT&T and Verizon both offering the iPad, and Verizon scooping up the Xoom, the rumored Evo View gives Sprint something to put in the window besides last year's Samsung Galaxy Tab. Even if these rumors aren't 100 percent accurate, it's safe to guess that Sprint will have some big product news at its press conference, which is being held during the International CTIA Wireless trade show in Orlando, Fla. Sprint announced the dual-screen Kyocera Echo in December and launched the HTC EVO Shift 4G in January, but has yet to make any splashy announcements in 2011. Expect that to change on March 22.